Shopping for Flash Gordon T-Shirts? You've never seen Flash in a t-shirt battle like this! 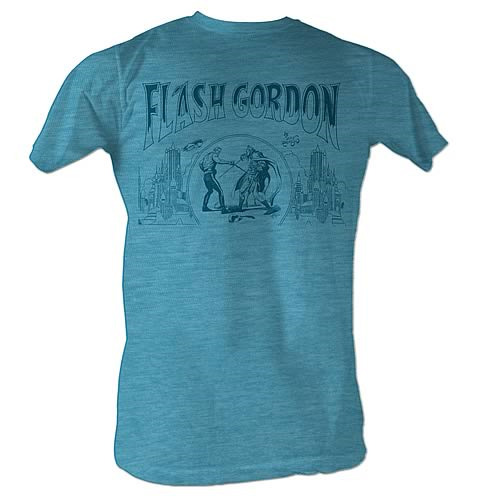 Featuring an image of Flash Gordon having a sword duel with Ming the Merciless from the classic Flash Gordon comic book series, this Flash Gordon Duel Turquoise T-Shirt is awesome! It even shows the duo's epic duel taking part in the heart of the giant capital city! Buy yours today!